Kareem Crayton was announced Wednesday as the new executive director of the Southern Coalition for Social Justice (SCSJ). He has served as the organization’s interim director since January 2018. Crayton was brought on after current state Supreme Court Justice Anita Earls, former executive director and founder of SCSJ, resigned to pursue running for a seat on the high court. 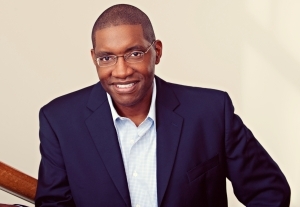 Crayton is a Montgomery, Alabama, native and was managing partner of Crimcard Consulting services, a firm that he founded to assist communities globally in their effort to seek political efficacy and equality. He had served on faculties including Harvard, the University of Southern California, the University of Alabama, the University of North Carolina and most recently, Vanderbilt University Law School. The SCSJ announcement comes less than a week before the organization takes its second case in two years to the U.S. Supreme Court. Next week’s cases, Rucho v. League of Women Voters of North Carolina paired with sibling case Rucho v. Common Cause, are partisan gerrymandering challenges to North Carolina’s 2016 congressional redistricting plan. The high court could establish a national standard for how lawmakers use partisanship in the redistricting process. Crayton said in a news release he is convinced this this pivotal moment in time in America makes the most sophisticated and mission-oriented work of civil rights advocates more crucial than ever. A state constitutional challenge to North Carolina’s new voter ID law can move forward, according to a Wednesday order from Wake County Superior Court Judge Vince Rozier Jr.
Six plaintiffs filed the lawsuit alleging the voter ID law discriminates against and disproportionately impacts minority voters, creates separate classes of voters, imposes a cost and property requirement for voting and impedes the ability of voters to engage in political expression and speech. Legislative defendants responded with a motion to dismiss the suit, which Rozier denied after hearing arguments earlier this month. Chief Justice Cheri Beasley will now appoint a three-judge panel to hear the case as a whole. One part of a claim brought by plaintiffs was dismissed by the judge because none of the plaintiffs in the case who were under the age of sixty-five possessed an acceptable state-issued ID that was more than one year expired. Rozier wrote in the order that because the plaintiffs did not fall within the category of voters potentially affected by the claim, there was a lack of standing. Lawmakers fast-tracked a bill this week, that was signed Thursday by Gov. Roy Cooper, that delays the implementation of the voter ID bill until the 2020 elections. The Southern Coalition for Social Justice is representing plaintiffs in the voter ID litigation, along with pro-bono counsel from the New York law firm of Paul, Weiss, Rifkind, Wharton & Garrison. 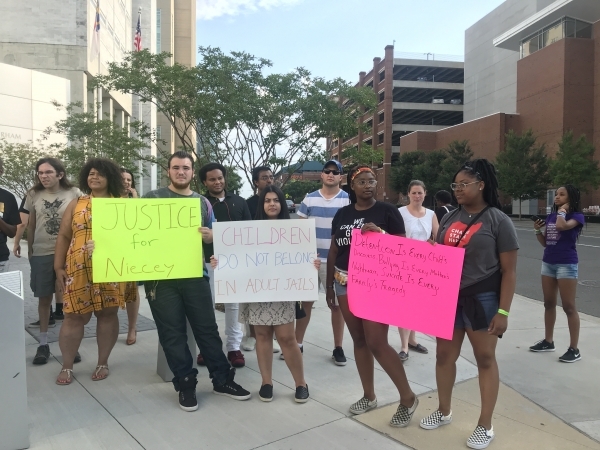 The Southern Coalition for Social Justice also represented plaintiffs who successfully challenged the state’s 2013 monster voter suppression law that was ultimately struck down by the U.S Court of Appeals for the Fourth Circuit. In less than two weeks, attorneys will be back in front of the U.S. Supreme Court to argue a North Carolina partisan gerrymandering case — but this time, they hope, things will be different. Oral arguments in sibling cases Common Cause v. Rucho and League of Women Voters v. Rucho will be heard March 26. A federal court has already found twice in the partisan gerrymandering cases that the state’s 2016 congressional redistricting plan was unconstitutional. Feng gave an overview of the cases Wednesday in a teleconference. She said the undisputed facts of the case make it different from others heard by the high court in the past — mainly that GOP legislative leaders said on the record they drew districts to maximize partisan gain. Daniel Tokaji, an election law and First Amendment professor from Moritz College of Law, agreed and said the strongest legal basis of the Common Cause case was the violation of First Amendment associational rights. The state Democratic Party is a party in the case. Tokaji said there is 50 years of Supreme Court precedent protecting associational rights and that in some cases, voting is an associational right. “It’s not only the affect on who gets elected to office that courts should consider … but also effects on the disfavored political party and its supporters outside the electoral process,” he said. That includes difficulties fundraising, registering voters, generating support, recruiting candidates and accomplishing policy objectives. North Carolina has undisputed evidence of all of it. Tokaji said the North Carolina best captures the type of injury inflicted by gerrymandering, a systemic injury to a group of people. It also provides the court an opportunity to set a nuanced standard — just because there is intent for partisan gerrymandering doesn’t mean a map is unconstitutional; the court can allow states to present reasons for gerrymandering, like keeping districts compact or geographical considerations. “To me the biggest reason for being hopeful here — we don’t know for sure what the court is going to do — is that the evidence about how bad the problem has gotten and how toxic it is for our politics as a whole becomes clearer and clearer over time and this isn’t a problem that’s going to fix itself,” he said. Love Caesar, 20, a student at North Carolina A&T University and a democracy fellow with Common Cause NC, described the effects of partisan gerrymandering on her campus and said it’s very disheartening for students. The high court will also hear a Maryland case involving Democratic partisan gerrymandering. North Carolina will soon have a full state Supreme Court, after Gov. Roy Cooper announced his appointment Monday of state Court of Appeals Judge Mark Davis to the high court. Davis will fill the seat once occupied by new Chief Justice Cheri Beasley. Cooper named Beasley to the chief justice role last month when the former chief justice, Mark Martin, retired at the end of February to take a job as the dean of Regent University’s law school. Davis will take over Beasley’s former associate justice position, arriving in time to hear oral arguments when the state Supreme Court convenes in April. He also intends to run for election to a full eight-year term in 2020. “I know Judge Davis is dedicated to his work and to serving the people of North Carolina, and I know he will continue to serve with distinction as an associate justice on the Supreme Court,” Cooper said. Davis, who was born in Onslow County, also worked for more than a decade in the litigation section of the Womble Carlyle Sandridge & Rice firm, now Womble Bonds Dickinson. Davis’ appointment shifts the balance of the Supreme Court to a 6-1 Democratic majority. Martin, the former chief justice, was a Republican, and GOP leaders had been hopeful Cooper would appoint a Republican to the high court to keep some balance. Cooper has said before that he would appoint the best person for the job. Both Beasley’s and Davis’ seats will be up for election in 2020. Davis’ appointment also leaves a vacancy on the state Court of Appeals. Cooper will have the power to fill it. 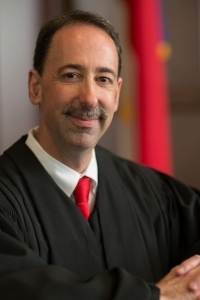 Several people have already announced their intentions to run for a seat on the state Supreme Court, including the only Republican on the court, Justice Paul Newby, who will challenge Beasley for the leadership position. Other likely candidates in 2020 include Phil Berger Jr., who currently serves on the state Court of Appeals – he is also the son of Senate President Pro Tem Phil Berger – and former state Senate member Tamara Barringer, a Wake County attorney.